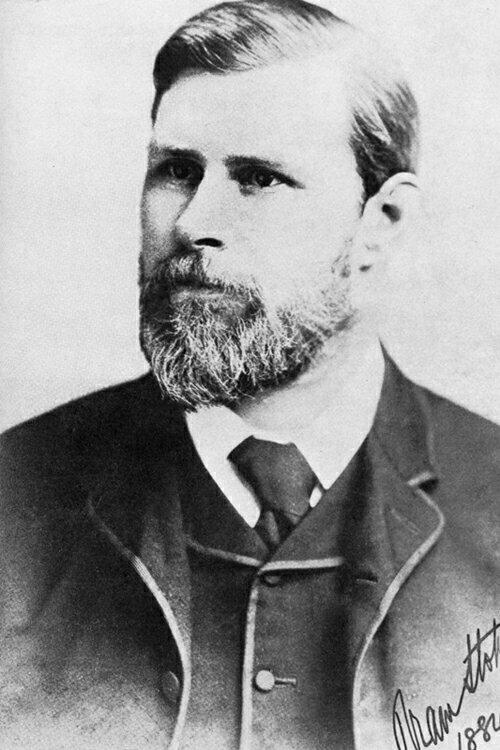 Bram Stoker will forever be known as the creator of Dracula – one of the most iconic and enduring horror creations of all time. Often ill during his childhood, he spent much time in bed listening to his mother’s grim stories, sparking his imagination. Stoker then eventually came to work and live in London, meeting notable authors such as Arthur Conan Doyle and Oscar Wilde. He wrote many short stories, and several novels, and whilst Dracula tends to eclipse these, we feel many of these really deserve to be discovered and read. Though mostly known for Dracula, Stoker’s horror fiction does not start and end there – lurking within this collection are some of his most chilling works, from ancient curses to bloodcurdling acts of revenge from beyond the grave and gothic tragedies which Edgar Allan Poe would be proud of. 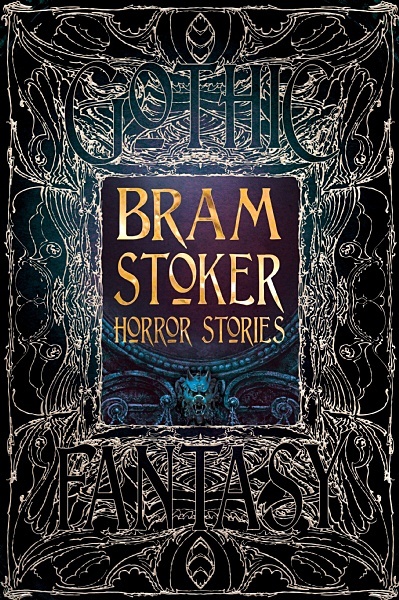 Once I had worked out which of Stokers stories could be considered 'horror' form one angle or another, I read each one for their chills, thrills and gothic charms, trying to choose from a wide range of themes, and ultimately trying to pick great stories. In making my choice, I also came up against a difficulty I often find when researching classic fiction. I wanted to include an extract from The Lair of the White Worm, and in making my selection, I mainly chose text from the end of the book. The extract selection was done for two reasons: this is where the horror itself really builds and so I believed to be the most deserving of inclusion here; but it also had the extra benefit of avoiding parts of the text with much of the more uncomfortable language and attitudes towards race that can sometimes be found in late Victorian/early Edwardian texts. The latter is always a difficult balance for us when considering classic fiction, and we felt that The Lair of the White Worm ought to be included as part of Stoker’s horror canon, but without wishing to cause too much offence for the modern reader. How to Organise the Stories? Three clear themes developed as I read through Stoker’s stories. He often wrote about supernatural creatures (as evidenced by Dracula!) – including both monstrous creatures, but also malevolent ghosts, or eerie doppelgangers. Then there were some quite chilling tales of murder and revenge, at least one of which featured a vengeful spirit (echoing once more his love of the supernatural). Finally, other stories started to emerge which were altogether different, but no less haunting: tales of love, loss and tragedy, sometimes with a very gothic setting. To add an extra dimension of interest, I also added two recommended reads at the end of each text, to direct the reader to other stories within the collection which they might enjoy. This book starts with a foreword by Dr Catherine Wynne, who is Senior Lecturer in English at the University of Hull. She is author of Bram Stoker, Dracula and the Victorian Gothic Stage (Palgrave, 2013) and has edited two volumes of Bram Stoker’s theatrical writings, Bram Stoker and the Stage: Reviews, Reminiscences, Essays and Fiction (Pickering and Chatto, 2012). She has also edited Stoker and the Gothic: Formations to Transformations (Palgrave, 2015), a collection of essays on Stoker. In 2012 she organized the Bram Stoker Centenary Conference (Hull and Whitby). She has contributed to documentaries on Stoker for radio and television and has spoken about Stoker at the British Library. If this has whetted your appetite for our beautiful Bram Stoker collection, you can find it on our website here. BBC Radio 3 has a series exploring the life of Bram Stoker - listen to all 5 episodes on iPlayer here. Read about how Whitby influenced Stoker's writing of Dracula, on the English Heritage website here.